For much of the last six decades, European countries have drawn ever closer together in the interests of peace and prosperity on a continent divided for centuries by war. With its roots in the aftermath of World War II, the European Union grew from a trading community of six nations in 1958 to a sprawling bloc of 28 today. Collectively, the EU countries make up the world's second biggest economy, and most of its members use a common currency -- the euro. After Brexit, the EU will lose its second biggest economy (after Germany) and fourth biggest paymaster -- and one of its most powerful advocates for free trade. Perhaps most ominously, Brexit also reverses the EU drive for "ever closer union," one of its founding principles. If Britain can pull out, who's next? The shock comes at a time when the foundations of the EU are already looking shaky. Right wing politicians in France and the Netherlands have called for their own referendums on membership. Italy's Five Star movement, which is gaining support in major cities, wants a vote on the euro. 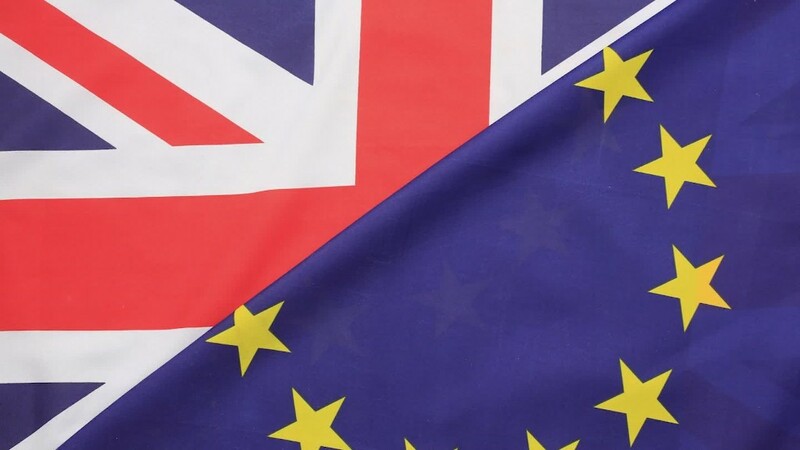 "At a time of crisis in many areas of the EU, [Brexit] poses significant ... threats both to economic and monetary union, and to the survival of the EU itself," said David Marsh, managing director of think tank OMFIF. So why is Europe so vulnerable? Two recessions in the last seven years have left deep scars across the region. Economic growth is picking up, but it's way below the rates of expansion seen before the global financial crisis struck in 2008. Jobs are slowly being created, but more than 21 million Europeans -- 9% -- are still without work. Unemployment continues to blight the lives of millions of young people in countries such as France, Spain, Italy and Greece. The European Central Bank, Europe's equivalent to the Federal Reserve, is pumping hundreds of billions of euros into the economy to get things moving. But it can't do all the heavy lifting, and ECB President Mario Draghi has called again and again for EU governments to make their economies more dynamic. That's easier said than done. France recently made relatively modest attempts to make its laws more business friendly, triggering huge protests. EU leaders said Friday they regretted Britain's decision to leave but would be united in their response. "Together we will address our common challenge to generate growth, increase prosperity and ensure a safe and secure environment for our citizens," the four presidents of the EU's political institutions said in a statement. Europe's currency survived a serious scare a few years back, thanks in part to powerful intervention by Draghi. But many countries using the euro are still carrying huge debt -- a handful have borrowed a worrying 100% or more of their GDP -- and are locked into EU rules that limit their ability to spend money to boost growth. The "one size fits all" policy on interest rates for the 18 euro nations is also creating huge strains. The flood of central bank cash helps weaker economies but has been attacked in Germany for hurting savers by driving rates below zero. One of the euro's problems is that it is not backed by a single government that can set taxes, borrow money, and move funds around to help poorer states. France has in the past called for a "eurozone government," but Germany is deeply opposed to the idea. Finance minister Wolfgang Schaeuble said this month that responding to Brexit with more EU integration would be "crazy." And German Chancellor Angela Merkel cautioned on Friday against "jumping to quick conclusions." "We also need to acknowledge we are faced with lots of doubts about the direction of Europe ... not just in the UK but in other countries as well," Merkel told reporters. "We need to ensure that the European people feel that the European Union wants to improve all of our lives." Terror attacks and the world's worst refugee crisis in 70 years are rattling another of Europe's pillars -- the free movement of people. Under the EU's Schengen agreement dating back 30 years, 400 million residents, plus many non-EU nationals, business travelers and tourists, should be able to move freely across thousands of miles from the Russian border to the Atlantic coast of France or Portugal. But the arrival in the EU of more than one million refugees and migrants last year, and terror attacks in Paris and Brussels, have placed the agreement under unprecedented strain. Germany and other Schengen countries have introduced emergency border controls. They're likely to remain in place at least until the end of this year. "If other crises -- a euro crisis, a Schengen crisis, a Trump presidency -- get layered on top of Brexit, there is a real danger of collapse," said Mark Leonard, director of the European Council on Foreign Relations.